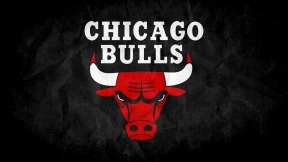 The Chicago Bulls will join the National Basketball Association (NBA) and several teams around the league to celebrate the Christmas holiday at their game on Thursday, December 25, when they host the Los Angeles Lakers. As part of NBA Cares Season of Giving, all players and coaches participating in the Christmas Day matchup will participate in a special pregame, on-court gift presentation to local youth following the national anthem. The Bulls and Lakers players and coaches will exchange gifts with nearly 40 Advocate Health Care pediatric patients. Each child will receive tickets to the game that evening. During Thursday’s matchup, there will be pre-game performances throughout the concourse by The Festive Singers who will also open the game with the National Anthem. Christmas-themed scoreboard videos, music and other in-game elements will be incorporated. Entertainers from the Bulls Entertainment Network, including Benny and the Elevators, Luvabulls, Incredibulls and BullsKidz will perform a special Nutcracker halftime show.